Why I Joined as Tech Advisor at Tokenize Xchange (Singapore)? 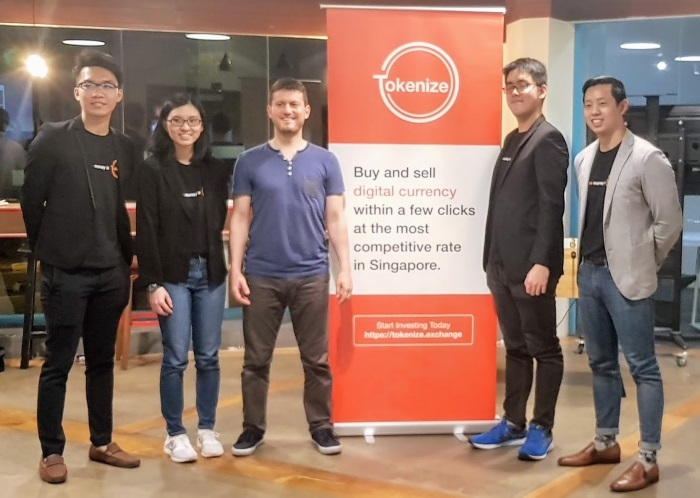 In May 2018 I joined as technical advisor at Tokenize Xchange, a Singapore-based crypto exchange startup, which is launching an ICO to raise funds to expand its current services and build innovative products around the crypto trading industry. Token mechanics is the foundation for having an ICO or token sale. If someone sells a token, this token should have a long-term value attached to it. Someone, from one side, should have good reason to continuously purchase the token and someone, from other side, should have a good reason to continuously sell the token and the token should not be easy to be replaced by fiat money. Strong team (product, technical, business, marketing) is crucial for any startup, including ICO projects. Highly-motivated, hard-working, fully dedicated, experienced professionals, with proven reputation, working together, are the main driver of ICO projects. Does really the market needs this product / service? If you are going to build a product, it should be driven by the market demand, not just by your idea. Market demand means that people will be happy to pay for using the product / service and expectation this should be verified, not just a hope. The product / service should be possible to be built, not just a hope or promise. The team should be capable to deliver and motivated to execute, not just to promise. Best ICO projects first build a working prototype or launch a simplified version of their product / service and then raise funds to grow and extend it. When I see all the above components together, I decide that the project has a potential to be highly successful. A project still can fail (like any other start-up), but the success chances are better when the above criteria are met in a proven way. I joined as tech advisor for Tokenize Xchange because I believe it meets the above criteria and because I believe they will have a successful story at long term and I think I can add value to this project and the team behind it. The TKX token has meaningful token economy. The TKX token is used to enter the market. 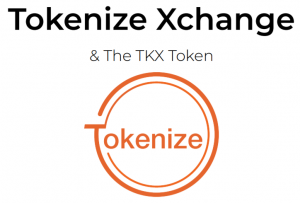 Tokenize changes fiat money for TKX tokens and vice versa. The TKX tokens are later changed for BTC, ETH and other coins and tokens at the exchange, through executing orders from the public order book. This itself is enough to have a valid token economy, because it directly attaches a value for the TKX token, equal to some fiat money (as far as you trust Tokenize and according to the current market price of the TKX token and assuming market liquidity). The second strong point in the Tokenize token economy is that TKX tokens are used to pay for transaction fees with discounts based on the amount of TKX tokens hold in your account. This is proven token mechanics used in successful crypto exchanges (like Binance). The transaction fee discounts give a real value to exchange users: if you trade actively cryptocurrency, you will pay a lot of fees over the time, so having discounted fees is a strong point. The team behind tokenize. When I visited the Tokenize office in Marina One East Tower in Singapore I met with a team of young, highly motivated, passionate people, who are hard workers, with strong vision for the future. I had several technical and business talks with Qy and Darren and I saw their working exchange service and their passion to expand and innovate. Along with the already secured funding for the next few years of development, I believe Tokenize have a team and a company who are able to deliver. Tokenize already have demonstrated their working product. Their exchange is live and running in production for months already. At this stage trading is centralized, but it is working product, not just a promise. They have already active customers who use the exchange, which is well known in Singapore and the region. As a criticism, I could say that many concepts mentioned in the Tokenize whitepaper are too ambitious and I believe the roadmap and priorities might be adjusted over the time, but I am sure the direction of development is correct and the Tokenize exchange will grow and expand in the ASEAN region in the next few years. My role at Tokenize as technical advisor is to help with the technical decisions, architecture and concepts and to help building a strong technical team, also to help Tokenize to connect with business partners through my network of contacts from the blockchain and fintech industry. Potential scam / fraud / unhonest behavior. This depends entirely on the team and is a matter of trust and reputation of the team members and decision makers. When I accept to become an advisor, I want of know the people in the project well and to be sure they are honest and have highly positive reputation as professionals in the industry, in the business and as persons. Potential fail of the project. I prefer to enter in relationships with projects with high potential for success and I really want to be convinced that certain project will have future growth and will give value at long term. Still I can accept certain risk, because it is the nature of start-ups: only few of them are highly successful and we just live with this. With Tokenize I believe both risks are low, so I joined with good expectations for success. At this point, I am happy to add Tokenize in my blockchain advisory portfolio and I believe they will be successful for long term.